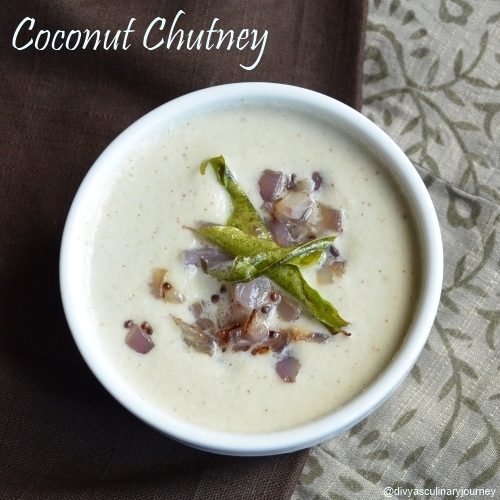 My fav...Loved the addition of onion..
quick and easy to prepare.. comfort chutney..
quick and easy sidedish for idlis and dosas,love it. 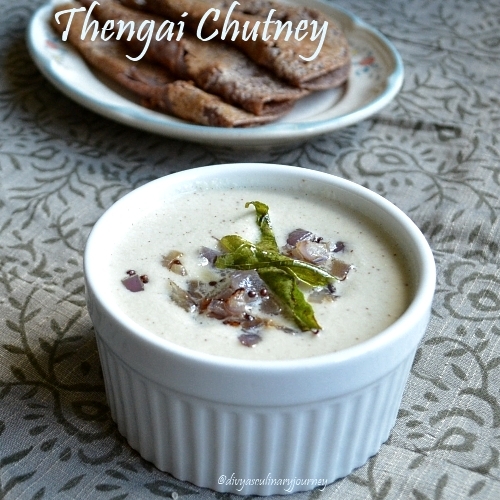 This is such a staple with anything south Indian, can never get bored of this chutney! This is new to me and am liking what I see. Easy and goes well with many of our dinners. I make it the same way too..best with any snack..
Coconut chutney looks delicious Love your addition of onion in garnish. Onion in tempering sounds awesome. That is absolutely true Divya, if I make anything south Indian and forget to make coconut chutney my daughter never eats it. I like your tempering of onion and curry leaves on coconut chutney.